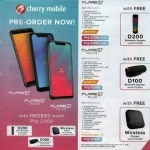 Home › Tech News › Cherry Mobile Omega HD vs Starmobile Diamond: Which is the winner? 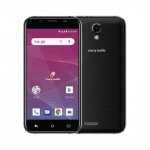 Cherry Mobile Omega HD vs Starmobile Diamond: Which is the winner? Can Starmobile beat Cherry Mobile? The competition among mobile phone companies in the Philippines is getting more exciting by each passing month. Cherry Mobile’s launching of their Omega HD is matched by Starmobile’s introduction of the Diamond. 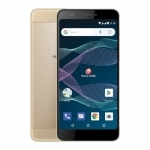 Omega HD and Diamond are both 5-inch phablets with high definition scratch resistant display, 1 GHz + 1 GB Processor and RAM combo, 12 Megapixel camera with BSI technology and more jaw dropping features. However, these two phablets also have their differences. These features will determine which handset will sell more to Filipinos. 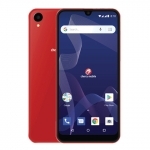 Let’s compare and contrast the Cherry Mobile Omega HD and Starmobile Diamond in 5 key areas that Filipinos are most interested in: quality of build and looks, smoothness of operation, camera picture quality, additional features or freebies and price. Both Omega HD and Diamond are fitted with scratch resistant Dragon Trail Glass. You can slice the displays of these phones but that wouldn’t make even a tiny scratch. Based on the prototypes showed by both companies, Diamond follows the same design style as the Starmobile Crystal with the silver or chrome lining running on its sides. Cherry Mobile Omega HD also has the chrome lining especially in the white variant. 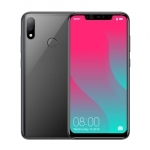 Both phones have very thin bezel – the space between the screen and the edge of the phone’s side. Omega HD and Diamond are both powered by a combination of 1 GHz dual core MT6577 processor and 1 GB of RAM. The additional RAM from previous models allows you to open several apps at the same time without lags and hangs. The difference between Omega HD and Diamond is their graphics processing unit. Omega HD has a PowerVR SGX531 while Diamond has an enhanced SGXS31. 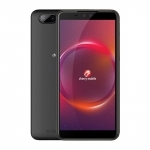 Antutu Benchmark test for Cherry Mobile Omega HD and Starmobile Diamond shows a better performance from the SGXS31 when it comes to 3D graphics rendering. This gives me a hint why Omega HD has a lower price tag compared to Diamond. This is one of the sweetest aspects of these phones. 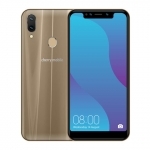 Both Omega HD and Diamond are equipped with 12 Megapixel rear camera with Backside Illumination (BSI) technology which improves the quality of pictures in low light situations. The pictures taken by Omega HD and Diamond are stunning outside and even inside your house. The difference takes place in the front camera. Omega HD has a 2 MP front camera while Diamond boasts for its 3 MP front camera. This will be useful in video calling since Diamond will offer a better quality of video. 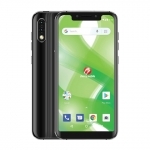 Both Omega HD and Diamond has dual sim capability, Wifi and Wifi hotspot, Bluetooth, 3G, FM Radio and other basic features of today’s smartphones. The difference is that Omega HD has a 2,100 mAh battery while Diamond has a slightly lesser battery capacity at 2,000 mAh only – a small difference. I doubt that this will truly affect the two phones. Another difference is the fact that Diamond comes with a free 8GB microSD card. This is of the good side with Starmobile products, the freebies. Now that you know the similarities and differences of the specs between Omega HD and Diamond, it’s time to look at the price of the two phones. Omega HD is priced at ₱ 7,999.00 while Diamond is priced at ₱ 9,990.00 – a difference of almost ₱ 2,000.00. 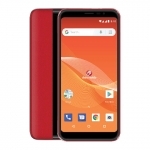 If I would buy one of these phones, I would definitely go with Cherry Mobile Omega HD. 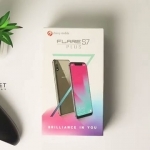 It’s the cheaper one and Filipinos will always go for the cheaper product especially with this one that has an amazing list of specs. 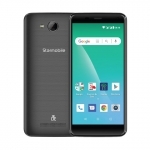 However, there is a reason why Omega HD is cheaper than Diamond, if you don’t want to regret later that your phone lacks something, you better buy a Starmobile Diamond. It looks good aesthetically and the graphics is also better with the Diamond – that’s why it’s called Diamond. Which do you think is better, Omega HD or Diamond?